→ Fantastic Four (1°) #1 (1) (11/61) The Fantastic Four! 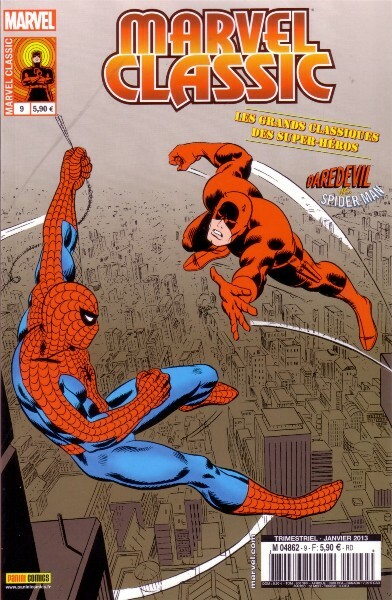 → Amazing Fantasy (1°) #15 (1) (08/62) Spider-Man! → Tales Of Suspense #39 (1) (03/63) Iron Man - Iron Man Is Born! 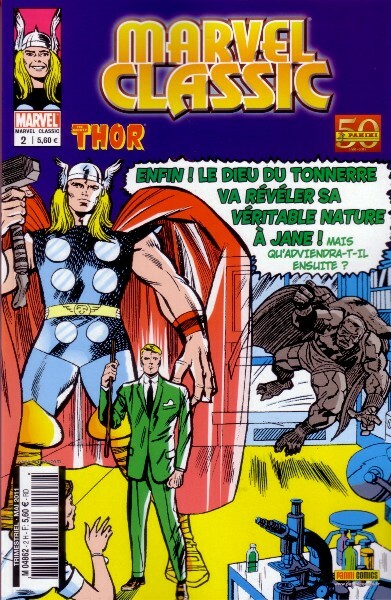 → Journey Into Mystery (1°) #108 (1) (09/64) Thor - At The Mercy Of Loki, Prince Of Evil! → Journey Into Mystery (1°) #109 (1) (10/64) Thor - When Magneto Strikes! 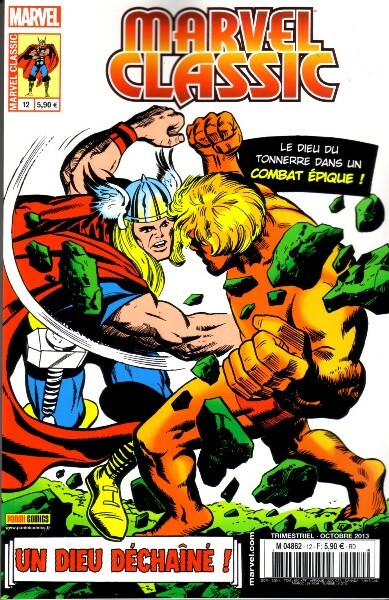 → Journey Into Mystery (1°) #110 (1) (11/64) Thor - Every Hand Against Him! 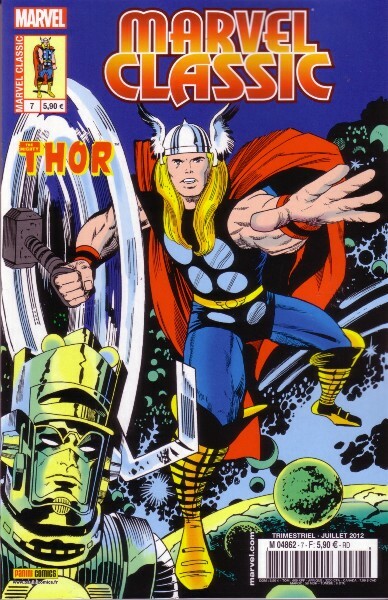 → Journey Into Mystery (1°) #111 (1) (12/64) Thor - The Power Of The Thunder God! → Journey Into Mystery (1°) #112 (1) (01/65) Thor - The Mighty Thor Battles The Incredible Hulk! → Journey Into Mystery (1°) #113 (1) (02/65) Thor - A World Gone Mad! → Journey Into Mystery (1°) #114 (1) (03/65) The Stronger I Am, The Sooner I Die! 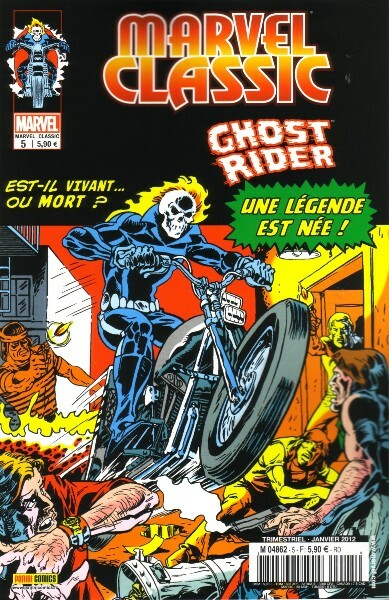 → Marvel Spotlight (1°) #5 (08/72) Ghost Rider - Ghost Rider! → Marvel Spotlight (1°) #7 (12/72) Ghost Rider - Die, Die, My Daughter! → Marvel Spotlight (1°) #8 (02/73) Ghost Rider - ...The Hordes Of Hell! → Marvel Spotlight (1°) #10 (06/73) Ghost Rider - The Coming Of... Witch-Woman! → Marvel Spotlight (1°) #11 (08/73) Ghost Rider - Season Of The Witch-Woman! 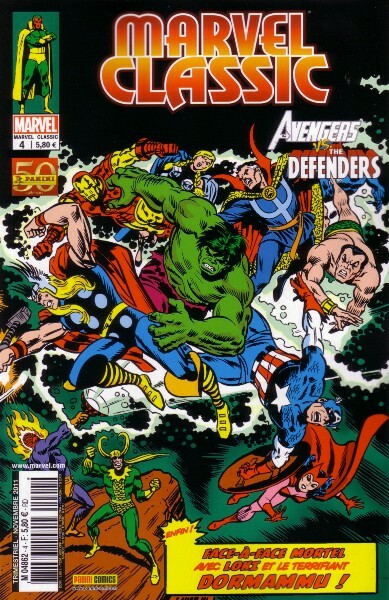 → Avengers (1°) #137 (07/75) We Do Seek Out New Avengers!! → Avengers (1°) #138 (08/75) Stranger In A Strange Man! 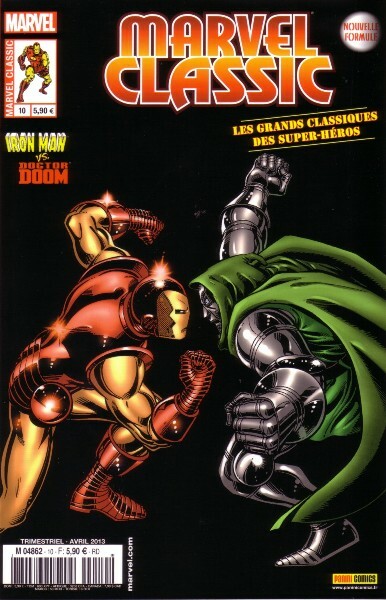 → Avengers (1°) #139 (09/75) Prescription : Violence! → Uncanny X-Men (1°) #50 (2) (11/68) Beast - This Boy... This Bombshell! → Uncanny X-Men (1°) #51 (2) (12/68) Beast - The Lure Of The Beast-Nappers! 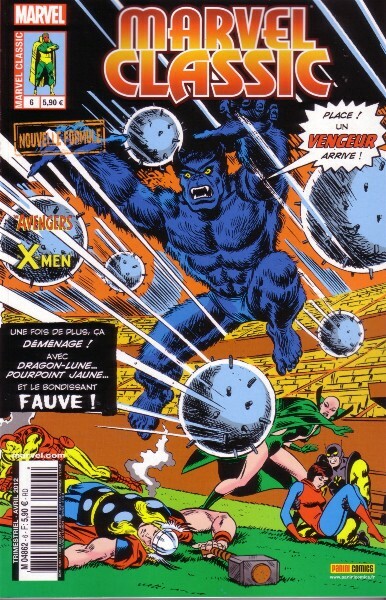 → Uncanny X-Men (1°) #52 (2) (01/69) Beast - The Crimes Of The Conquistador! → Uncanny X-Men (1°) #53 (2) (02/69) Beast - Welcome To The Club, Beast! → Thor (1°) #154 (07/68) ...To Wake the Mangog! → Thor (1°) #155 (08/68) Now Ends The Universe! → Thor (1°) #156 (09/68) The Hammer And The Holocaust! → Thor (1°) #157 (10/68) Behind Him... Ragnarok! → Thor (1°) #160 (01/69) And Now... Galactus! → Thor (1°) #161 (02/69) Shall A God Prevail? → Thor (1°) #162 (03/69) Galactus Is Born! → Defenders (1°) #1 (08/72) I Slay By The Stars! 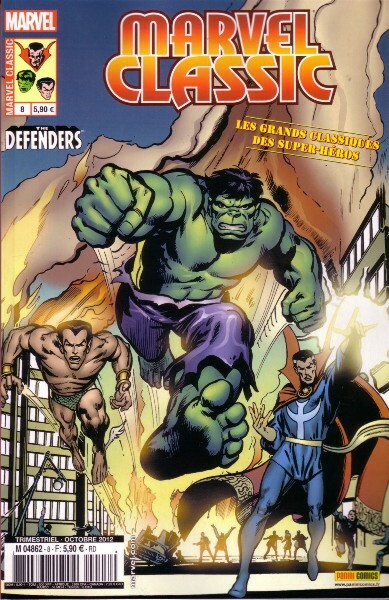 → Defenders (1°) #2 (10/72) The Secret Of The Silver Surfer! → Marvel Feature (1°) #1 (1) (12/71) Defenders - The Day Of The Defenders! → Marvel Feature (1°) #2 (1) (03/72) Defenders - Nightmare On Bald Mountain! → Marvel Feature (1°) #3 (06/72) Defenders - A Titan Walks Among Us! → Marvel Premiere #1 (04/72) Warlock - And Men Shall Call Him... Warlock! → Warlock (1°) #3 (12/72) The Apollo Eclipse! → Warlock (1°) #4 (02/73) Come Sing A Searing Song Of Vengeance! → Thor (1°) #159 (12/68) Who Is The Real Don Blake ? The Answer At Last! → Thor (1°) #163 (04/69) Where Dwell The Demons! → Thor (1°) #164 (05/69) Lest Mankind Fall! → Thor (1°) #165 (06/69) Him! → Thor (1°) #166 (07/69) A God Berserk! → Thor (1°) #167 (08/69) This World Renounced! → Captain Marvel (1°) #1 (05/68) Out Of A Holocaust... A Hero! 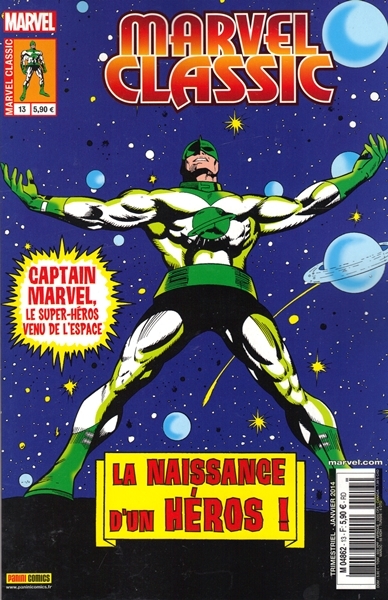 → Captain Marvel (1°) #2 (06/68) From The Void Of Space Comes... The Super Skrull! → Captain Marvel (1°) #3 (07/68) From The Ashes Of Defeat! → Captain Marvel (1°) #4 (08/68) The Alien And The Amphibian! → Marvel Super Heroes (1°) #12 (1) (12/67) Captain Marvel - The Coming Of Captain Marvel! 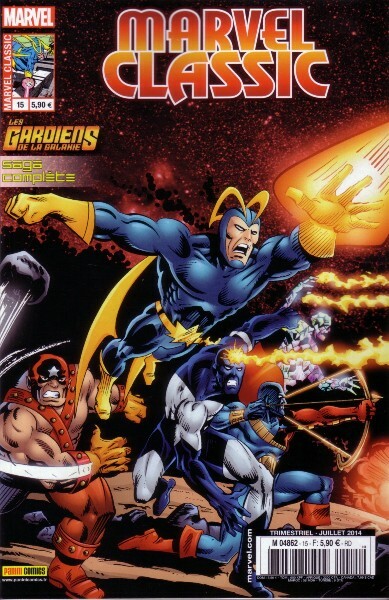 → Marvel Super Heroes (1°) #13 (1) (03/68) Captain Marvel - Where Stalks The Sentry! → Captain America (1°) #169 (01/74) When A Legend Dies! 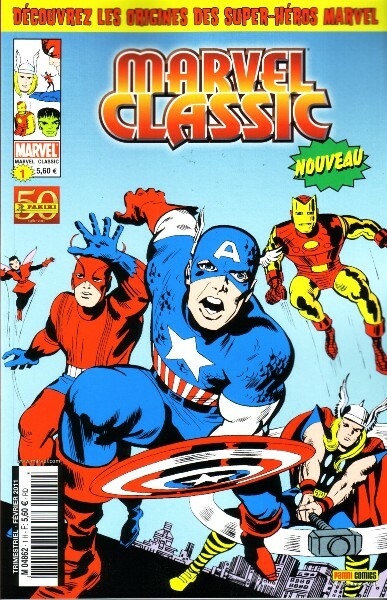 → Captain America (1°) #170 (02/74) J'accuse! 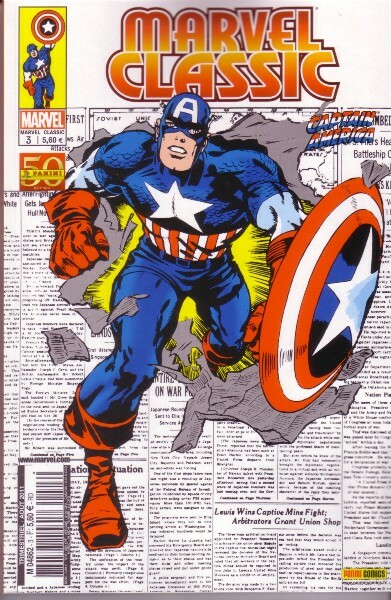 → Captain America (1°) #171 (03/74) Bust-Out! → Captain America (1°) #172 (04/74) Believe It Or Not : The Banshee! → Captain America (1°) #173 (05/74) The Sins Of The Secret Empire! 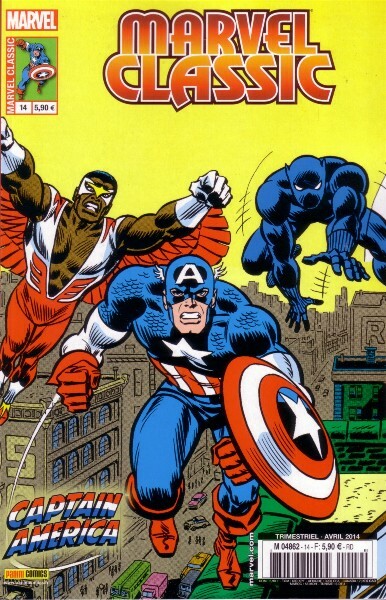 → Captain America (1°) #174 (06/74) It's Always Darkest! → Captain America (1°) #175 (07/74) ...Before The Dawn! → Marvel Team-Up (1°) #86 (10/79) Spider-Man And The Guardians Of The Galaxy - Story Of The Year! → Marvel Two-In-One #61 (03/80) The Thing And Starhawk - The Coming Of Her! → Marvel Two-In-One #62 (04/80) The Thing And Moondragon - The Taking Of Counter-Earth! 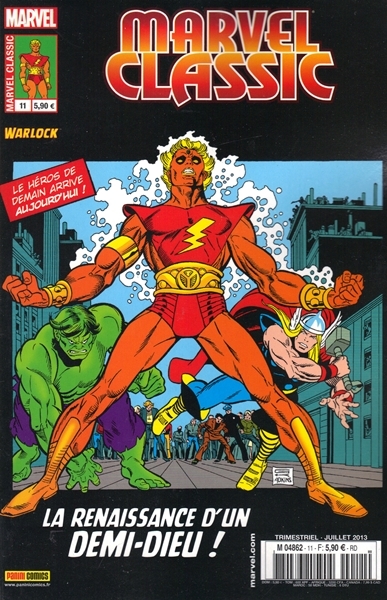 → Marvel Two-In-One #63 (05/80) The Thing And Warlock - Suffer Not A Warlock To Live! → Marvel Two-In-One #69 (11/80) The Thing And The Guardians Of The Galaxy - Homecoming! → Thor (1°) Annual #6 (10/77) Thunder In The 31st Century!